Algebra Suicide - Musician Don Hedeker creates the swirling and moody atmospheric foundation for the acerbic yet playful words of poet Lydia Tomkiw in a unique sound that, according to Trouser Press, "flirted with pop forms and occasionally shared stylistic ground with both Laurie Anderson and the Velvet Underground but never wavered from its own individual path." See also the Polkaholics. Area - Area began in 1985 when Steve Jones asked Lynn Canfield and Henry Frayne to participate in a recording project. From there the trio recorded four or five albums, and went on extended leave in 1990. The Arms of Someone New - The Arms of Someone New formed in 1983 when Mel Eberle and Steve Jones almost coincidentally started making music alongside Mel's recording and writing for his band The First Things. Lynn Canfield - Manifestly creative and charismatic, Lynn Canfield has been a key band member of numerous musical projects, including ¡Ack-Ack!, Judy Gang, Area, Moon Seven Times, Shotgun Wedding, Hot Tub Party, and The Brat Pack. See also Lynn's MySpace site. Chicago Punk Pix - Marie Kanger-Born's contribution to the documenation of Chicago's punk rock scene, past and present. The site includees photos, fanzines, and flyers, as well as a discussion forum. An amazing wealth of information! Dennis Culver - Dennis Culver is a painter and musician living and working in New Mexico. Inspired by the beauty of the landscape around him, and the depth of its history as a stage for the play of human drama, Dennis' work ranges from the real to the surreal. The Embarrassment - The official website of the "greatest rock and roll group you never heard of". The embarrassment formed in Wichita, Kansas in 1979, and coined the phrase "Blister Pop" to describe their music. See also their MySpace site. Brendan Gamble - Brendan Gamble's impressive talent knows few boundaries, if any. The list of his musical projects includes ¡Ack-Ack!, Sylvia Darling, Poster Children, Stark, The Moon Seven Times, Shotgun Wedding, and Pop Rocks, as well as his outstanding solo work. See also Brendan's link on Mud Records. Hot Tub Party - When Shotgun Wedding disbanded, Lynn Canfield continued writing and touring in Lynn Canfield & Hot Tub Party. Inka - Inka is a captivating performer and songwriter whose debut release "Name Brand Goddess", recorded with drummer Valhalla and other friends, transcends genre for a truly mystical experience. Lanterna - After The Moon Seven Times disbanded, Henry Frayne continued his signature textural guitar style with Lanterna, releasing a number of exquisite records on Parasol, Rykodisk, and Badman. See also Henry's MySpace site. Local Infinities - Local Infinities Visual Theater, is a Not-for-Profit, Chicago based theater company dedicated to creating original performance work that fuses the innovation & daring of performance art with the narrative thrust of traditional theatrical forms. Lonely Trailer - Comprising Tim Stephens, Brian Reedy, and T. J. Harrison, Lonely Trailer is an amazing alternative rock power trio whose sweet harmonies, enigmatic lyrics, and complex time signatures infuse seven full-length releases. Moon Seven Times - After Area went on extended leave in 1990, Lynn Canfield and Henry Frayne formed another band, Moon Seven Times, with additional members Brendan Gamble and Don Gerard. Moon Seven Times recorded three albums, released on Third Mind and Road Runner, before calling it quits in 1997. See also their MySpace site. Polkaholics - "Hot as grilled kielbasa. Crunchy as a potato pancake. The Polkaholics are a Chicago band that plays a high-speed collision of polka and rock 'n' roll." This blend of style and culture features the inimitable Don Hedeker of Algebra Suicide frame. See also their MySpace site. Sharky's Machine - Formerly known as Killdozer, until a Wisconsin band came out with the same name, Sharky's Machine was "an important post-punk-proto-grunge band" hailing from New York City. Sharky's Machine included Jim Schuermann (vocals), Alec Dale (guitar), Toni Ostrow (bass), and Mike Edison (drums). Shotgun Wedding - After Moon Seven Times ended in 1998, Lynn Canfield formed another band, Shotgun Wedding, with Brendan Gamble, Brian Wilkie, Rob Arrol, and Todd Fletcher, releasing the album "Big World of Fun". Amazon.com - Amazon.com is an online retailer where available Dansbane Elandet alternative and acoustic rock titles may be purchased. Billboard.com - The Internet arm of Billboard magazine, the world's premier music publication, Billboard.com is the source for weekly charts for U.S. sales, airplay, downloads and box office grosses. Borders.com - Borders.com is an online retailer where available Dansbane Elandet alternative and acoustic rock titles may be purchased. CD Baby - CD Baby is an online retailer where available Dansbane Elandet alternative and acoustic rock titles may be purchased. This site includes MP3 song samples! 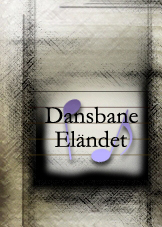 CDNOW.com - CDNOW is an online retailer where available Dansbane Elandet alternative and acoustic rock titles may be purchased. London Net Studio - London Net Studio builds stunning and effective web sites, collaborating with designers and clients to identify the most appropriate technologies for online communication. John F Mello - John F Mello is a "luthier" of northern California who builds and restores instruments to create a broad tonal palette and wide dynamic range that both project well and respond sensitively to the mature player's varied touch. Oasis CD Manufacturing - Oasis CD Manufacturing is a CD and DVD manufacturing company serving independent musicians, filmmakers and labels. Parasol Records - Urbana-Champaign, Illinois-based Parasol Records and associated labels (Mud, Spur, Hidden Agenda, Galaxy Gramophone, and Reaction) were a natural outgrowth of Parasol Mail Order, which opened its mailbox in 1991 and is considered the premier US mail order for independent pop music. Projekt - Projekt is America's premier independent label specializing in passionately intense music in the goth, ethereal, shoegazer, ambient, darkwave and dark cabaret genres. Releases include back catalog items from The Arms of Someone New and Area. Target.com - Target.com is an online retailer where available Dansbane Elandet alternative and acoustic rock titles may be purchased. Tower Records - TowerRecords.com is an online retailer where available Dansbane Elandet alternative and acoustic rock titles may be purchased. VirginMega.com - VirginMega.com is an online retailer where available Dansbane Elandet alternative and acoustic rock titles may be purchased. Waldenbooks.com - Waldenbooks.com is an online retailer where available Dansbane Elandet alternative and acoustic rock titles may be purchased.